Ila Kasem has more than 20 years experience as a strategy and change consultant. He is the managing partner of Van de Bunt Consultants based in Amsterdam. After a degree in business administration at The Rotterdam School of Management of Erasmus University, Ila joined Van de Bunt in 1993 and became a partner in 1999. From 2005 to 2014 Ila served on the supervisory board of WWF The Netherlands. 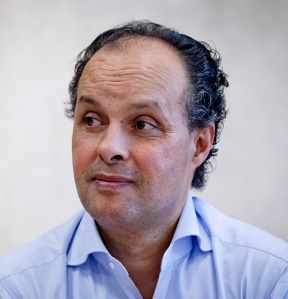 He is chairman of the board of Amnesty International The Netherlands, chair of The Morocco Fund (charity fund) and chair of Society Impact (an NGO dedicated to the development of social impact bonds in The Netherlands). Ila is also a board member of The Performing Art Fund NL, The Netherlands-Moroccan Chamber of Commerce, ROC Mondriaan The Hague (educational centre that teaches 18,000 vocational students and 4,000 adult students) and of the Giving Back Foundation in The Netherlands.